Posted on May 8, 2012 by Thomas D. Shults, Esq. 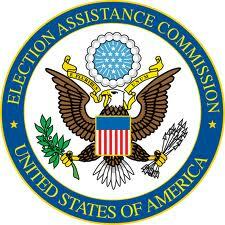 The United States Election Assistance Commission (EAC) was created by the Help America Vote Act (HAVA) in 2002. The commission is tasked by law to assist states in complying with the requirements of HAVA . The EAC is also responsible for creating voting system guidelines and operating the federal government’s voting system certification program. As this article in the Palm Beach Post points out, there is a slight problem with the EAC: the commission has no commissioners. This entry was posted in Florida Voting Issues, Help America Vote Act (HAVA), News, Voting machines, Voting Rights Act, Voting System Audits and tagged florida election attorney, Florida election contest, Florida election controversy, Florida election disputes, Florida election fraud, Florida election law, Florida election lawsuit, florida election lawyer, florida election problems, Florida election suit, Florida optical voting, Florida right to vote, Florida voting systems, HAVA, Help America Vote Act, Thomas Shults, Tom Shults, U.S. Election Assistance Commission, voting machines, Voting Rights Act. Bookmark the permalink.